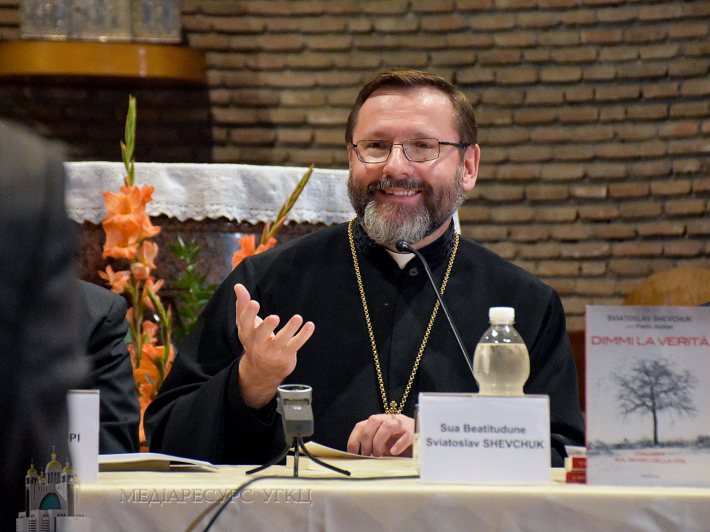 On October 25, at the Vatican, in the church of St. Lorenzo of the Congregation for the Causes of Saints, a presentation of His Beatitude Sviatoslav's book "Tell Me the Truth. Dialogues about the Meaning of Life" took place. 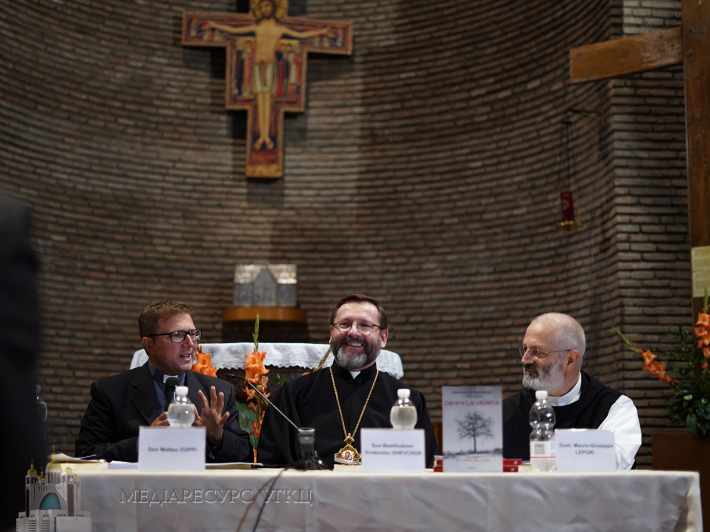 The book-dialogue of the Head of the UGCC with the professor of the Papal Lateran University was published in the Italian language at the publishing house "Kantagalli". The preface to the book was written by Cardinal Christoph Schönborn, Archbishop of Vienna. "I read this book during the time of the Pontifical Synod. It became for me the breath of fresh mountain air, which we lack here, in Rome. All that His Beatitude Sviatoslav tells in his book is his personal experience and experience of his Church ... We need this experience of martyrdom and wisdom of the Ukrainian Greek Catholic Church. I was especially impressed by the faithfulness of this Church, nurtured in freedom, or better said that its freedom is the product of its loyalty," emphasized in his review Fr. Mauro-Giuseppe Lepori, the General Abbot of the Cistercian Order, the author of many books on the theme of truth in the postmodern age. "I will tell you the truth: having read this book about testimony of the UGCC, I began to realize my own ecclesiological identity even deeper ... I understood that the Church needs two lungs to breathe fully. 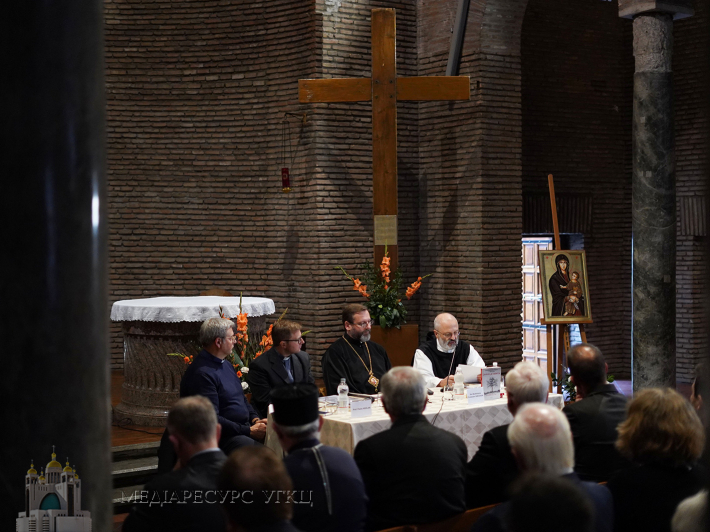 The unity with Rome, which the UGCC has faithfully preserved in order not to lose its identity, must now help us in the Western Church not to lose our identity," said the speaker. Matteo Zoppi, professor at the State University of Genova took part in the presentation, too. In his review, he drew attention to the methodology of writing a book: "The way of searching the truth by the representatives of the western and eastern philosophical and theological traditions through dialogue makes this book interesting not only for believers, but also for those who do not consider themselves as such. The book does not give answers to all questions, but invites the reader to reflection." 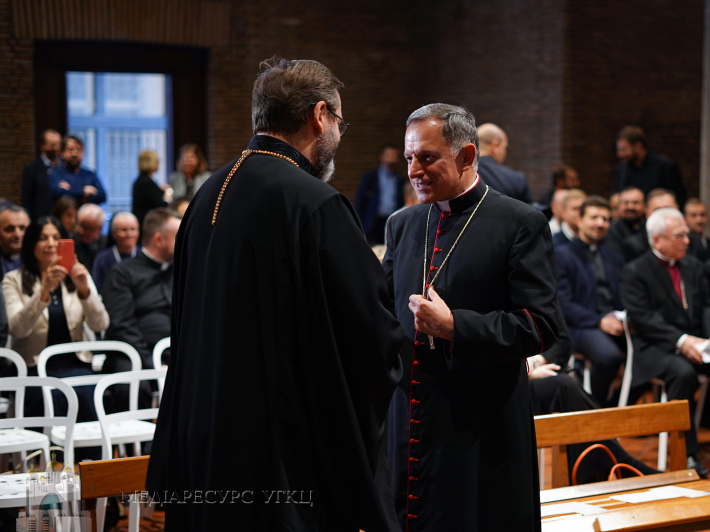 The speaker noted that in the dialogue "it is felt that prof. Asolan tries to define certain concepts, to sum up the results, and on the other hand His Beatitude Sviatoslav seems to widen the horizons of a particular topic, invites to a deeper search. In my opinion, the division itself into sections is rather technical, since the sequence of the text of the conversation resembles a certain spiral that points to the integrity of the main themes of the conversation: faith, hope, love and their embodiment in specific historical circumstances of life." His Beatitude Sviatoslav said that the book was born in the "Paschal context, when Fr. Paulo Asolan came to Kyiv and we talked about a week." "At this time, thinking about the Gospel of John about the Resurrection of Christ, which, according to our tradition, is read in this period, I reflected on the fact that we also saw the resurrected body of the Lord. After all, we saw our Church destroyed, crucified, but we also witnessed her glorious resurrection," said the Head of the UGCC. And this, in the opinion of the Head of the UGCC, is "the mission of our Church: to testify to what we saw with our own eyes and touched with our hands." His Beatitude Sviatoslav said that in a conversation with the Holy Father Francis he asked him: "Why did the Lord allow our Church to rise from the dead?" to which the Pope replied: "It seems that your Church has received a special mission from God." At the end of the presentation prof. Paolo Asolan emphasized that "the first presentation of the book in the premises of one of the most ancient churches in Rome near the St. Peter's Tomb, is extremely enlightening and symbolic. The Church, which has shown its faithfulness to the successor of the apostle Peter through the blood of its martyrs, today speaks to the Catholic world through the book of His Beatitude Sviatoslav, its present Head and Father." 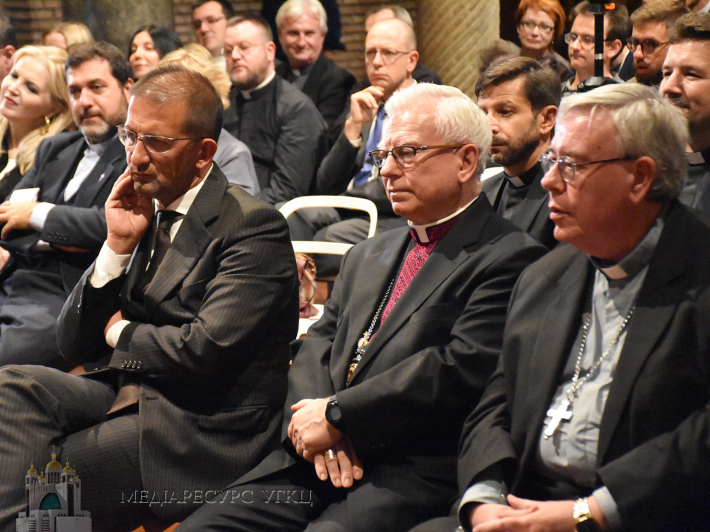 The presentation was attended by representatives of the State Secretariat of the Apostolic Capital, representatives of various diplomatic missions accredited to the Vatican, teachers and students of the Papal universities in Rome. The book will appear in Italian bookstores already on November 8, translation of the publication in English, Spanish and Ukrainian languages ​​is planned.